Market Snapshot for One Bal Harbour, Condo/Villa/Townhouses, residential community in Bal Harbour, Florida. 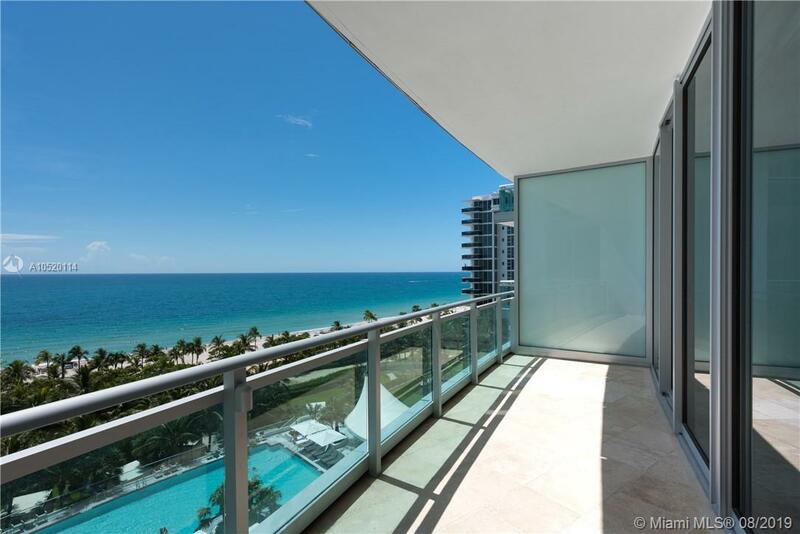 One Bal Harbour Condo/Villa/Townhouses is located at 10295 Collins Ave, Bal Harbour, Florida, 33154. This residential community was built in year (2008) and currently offering (21) Condo/Villa/Townhouses for sale in One Bal Harbour, with price ranges from $529,500 to $5,900,000. Whether you are looking for most up-to-date One Bal Harbour, Condo/Villa/Townhouses, residential community or another luxury development in Bal Harbour, Florida to Buy or to Sell, our website will provide you with the most up-to-date luxury homes and condos for sale in the city of Bal Harbour. Set on the northeastern tip of Bal Harbour, directly on the ocean and bordering the Intracoastal Waterway, One Bal Harbour is a flawlessly designed modern, 26-story oceanfront condominium and the first ever built on the Island with an additional ultra-luxury five-star condo-hotel component. One Bal Harbour’s white sand beaches and turquoise ocean waters provide the backdrop for one of the most lavish South Florida beach home environments. 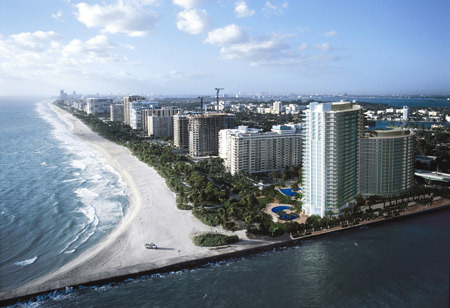 The ultra-chic oceanfront One Bal Harbour and the One Bal Harbour Resort & Spa are located on the northeastern end of Bal Harbour Village, bordered by Baker's Haulover Inlet and the Atlantic Ocean. 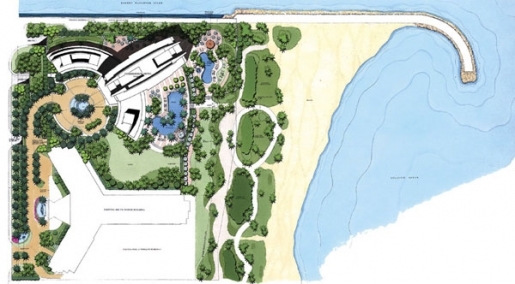 With almost 750 feet of pristine beachfront and world-class amenities on a spectacular five-acre site only 15 minutes away from renowned South Beach and right next the exclusive Bal Harbour Shops, One Bal Harbour is truly is luxury defined. Impeccable in design and rich in amenities, One Bal Harbour exemplifies the essence of luxury and carefree convenience. 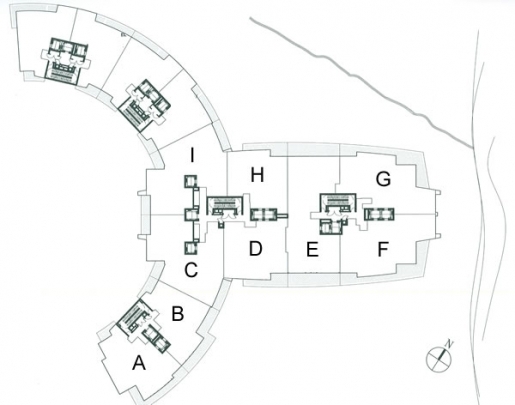 Innovatively conceived floor plans showcase spectacular vistas of Miami and its entire splendor. The building’s striking curved glass profile reflects the incredible views of the waterway, the dazzling Miami skyline, the Atlantic Ocean and the Haulover Inlet. The double-story lobby radiates the same elegance of the exterior, with a quality that combines the exquisite beauty of the natural scenery. The modern Tower Estates and Grand Penthouses range from approximately 2,000 to 8,000 square feet and the flow-through units offer spectacular panoramic views of South Florida’s skylines. Private elevators whisk you up to your showcase condo home with grand vestibules. Dramatic 10-foot ceilings, floor-to-ceiling windows, and expansive terraces with spectacular waterfront views make living spaces extraordinary and sublime. 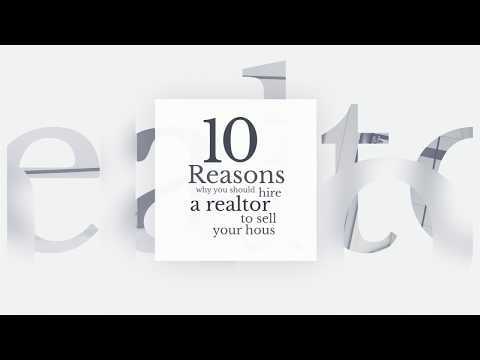 Modern interiors include exotic woods, crown molding, recessed incandescent lighting, and spacious walk-in closets which add to the tasteful design and high-end appeal. One Bal Harbour kitchens are adorned with Italian-style Seimatic cabinetry, granite countertops and backsplashes, as well as stainless steel appliances and Sub-zero refrigerator. Master baths have soothing Kohler infinity-edge overflowing bathtubs or Jacuzzi, European –style glass shower doors, marble vanity, and separate water closets. With residences available for sale or for rent, accessibility and exclusivity are inherent for owners. Building amenities also include an elegantly appointed Social Room with splendid seating, original works of art throughout common areas and a contemporary-styled full bar. Only the highest quality resources were used when One Bal Harbour was built, as its purpose is to provide the ultimate experience in luxury condo living. Neighboring the residential tower is One Bal Harbour Resort and Spa. As a One Bal Harbour resident, you will have access to the services and amenities of The Regency Hotel Brand, one of the most luxurious 5-star hotel concepts in the world. Experience fine waterfront dining or stop in the Spa at One Bal Harbour Resort, a 10,000 square foot facility offering 15 treatments suites with ocean vistas and an exclusive beachfront treatment cabanas accommodating facial, massage, body therapy, hydrotherapy, and Vichy shower body treatments. Residents also enjoy a state-of-the-art fitness center, a surround-sound theater, and beach and poolside services. Residents have use of the hotels room service and five star white glove treatment including: 24-hour valet, room service, housekeeping and full-time concierge to assist with travel, dining and theatre reservations. 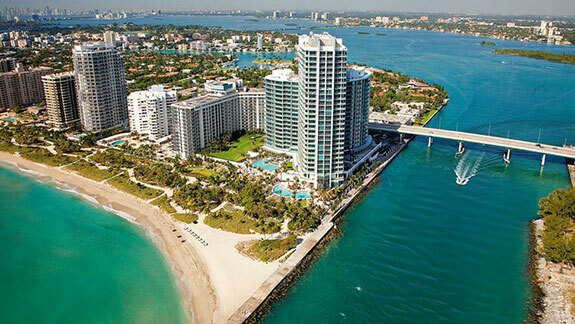 One Bal Harbour Resort and Spa Miami features 124 studio rooms and executive suites. Each guest room design is enhanced by spacious modern perspectives opening to large terraces with panoramic views. Precious mahogany wood, granite stone material, leather accents and custom artwork by painters Jay McCafferty and Darren Waterston help to convey a serene and warm atmosphere. 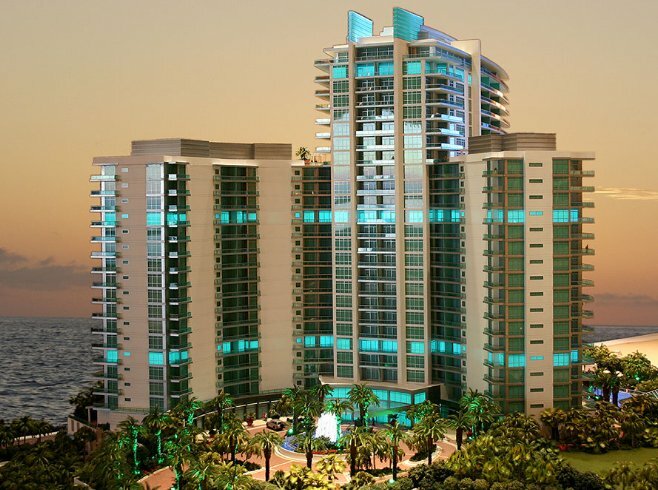 Yacht owners will enjoy the nearby Haulover Marina Center which is just steps away. Enjoy your stay at this 5-Star masterpiece on the beach. Bal Harbour is conveniently located between Miami International and Fort Lauderdale International airports with close proximity to South Beach and the famed Art Deco District. Covering only 1/3 of a square mile makes this island village one of the smallest municipalities in Miami-Dade County. Bal Harbour Condos have always been associated with high-end luxury oceanfront living for the affluent and the internationally renowned Bal Harbour Shops. This shopping destination is one of the most exclusive in the Southern United States. It is an upscale shopping mall set in a lush, open-air garden with waterfalls and exotic foliage, considered to be Miami's most elite shopping experience. In addition to renowned boutiques such as Christian Dior, Gucci, Prada and Versace, shoppers can also enjoy charming outdoor cafes, salons, an art gallery and two of the best department stores around, Saks Fifth Avenue and Neiman Marcus. With your very first steps into One Bal Harbour you’ll understand why the wealthy have been coming back every year and why even more people decide to stay and make this island hideaway their home. Want to live the resort life 365 days a year; One Bal Harbour is the destination location for you. Studios: One Bal Harbour Resort & Spa Miami features 61 studios offering 510 square feet of space plus a 72 square foot terrace.